Give your website a face-lift and checkup in 2017! O.k, first things first. You have a business or portfolio website. Maybe you have had the same site for a while and it is working well for you or maybe you have a snazzy new redesign. Either way, there are quite a few steps to take to make sure your website is the best is can be and can meet the expectations of your users. After all, the more users visiting your website, the more chances you have to convert those users to be a customer or a client. If visitors don’t like your website or if they cannot find what they are looking for quickly, then they will leave and may never come back. Is a website redesign in order? You may have decided that your company or personal website design is stale, outdated, non-responsive on mobile or simply just needs a refresh after years of being the same. A fresh, updated design can do wonders for your online presence. You need a complete design and structure overhaul, and maybe even want to migrate to a Content Management System (CMS)…but where do you start?…I found a handy PDF document online from Optimizely. This document does a deep dive into Mastering Your Next Website Redesign [PDF]. Basically, it takes a lot of pre-planning and thought on the type of design, functionality and layout including low-fi mock-ups and wire-frames prior to beginning the development process. A lot of testing and experimenting will go a long way into a successful redesign. If you have decided to move your website to a content management system (CMS). Which CMS will the best option to house your site’s code, assets, and content? A popular choice is WordPress. I actually have the blog portion of my website in WordPress. If you need a lot of configurable options that can be done via development, modules and theme manipulation then Drupal is a solid choice. I have worked on some Drupal sites previously and while there is a learning curve, there are also lots of great features to build a solid, feature rich website. When the website is being coded you should ensure that you are creating semantic HTML markup and also adhering to Section 508 accessibility guidelines. Check yo-self before you wreck yo-self! During the testing phase or soon after launch some useful tools I have found to check to make sure your website meets certain performance and display guidelines such as mobile friendliness are Onpage.org and Google mobile tester. You should be constantly reviewing your website and testing it for performance and ways to improve your site. I know my personal website is in constant need of improvement and optimizing. You may have also heard the phrase “Content is King”. This is especially true for a corporate website. The more content and keywords you have on your site the better off you will be for search engine optimization such as Google. It is important to have a list of keywords to focus on that you want for search engines. Make sure those keywords are all over your site. Especially in the URL’s of your pages, within HTML headers and paragraph tags and within anchor text. Use Google Analytics or another tool to make sure the people who find your site via these keywords are actually being converted to meet goals that you have set up. Everyone who visits your website likes to see fresh content and a great way to add fresh content frequently is through a blog. Articles, videos and white papers are other ways to keep your website content fresh and updated. It amazes me when working with small business owners that they just don’t understand the importance of Social Media. Every company and business owner should have a social media presence as we near 2017. I am personally active on Facebook, Twitter and LinkedIn. Social media is a great way to have your voice heard, your opinions known and to be seen as a thought leader in your industry. Additionally, if you have visible social media sharing buttons for your website content (blog post, videos, articles, white papers), this information could be shared expanding your reach exponentially. After your site has launched, if you aren’t already doing so, you will want to use an analytics tool such as Google Analyticsto measure traffic, bounce rates, time on site, user flow and which browser people are using to visit along with which devices (mobile, tablet, laptop, desktop). I also like to use Hot Jar for heat maps. They also offer forms you can put on your site to receive feedback from your customers in regards to your site’s user-friendliness. Experimentation is an important part of a successful website and one measure of testing that has become popular is A/B testing. This is in a nutshell when you serve up two different design and layout of important landing pages and see which one is more successful. Success can be determined by goals set up in Google Analytics, and can be anything from a purchase to filling out a form and clicking submit or even just clicking a Call to Action (CTA) button. This was quite a lengthy blog post and I included a great amount of information. This is just the tip of the iceberg, however. 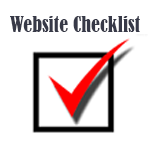 Designing, maintaining and optimizing a website is a time-consuming, highly involved process. In future blog post, I will take a deeper dive into some of the task and tools mentioned above.